Silent Rituals of the Mind is about Obsessive Compulsive Disorder (OCD). In particular it is about the more hidden forms of the condition: mental rituals and tics, rumination, compulsive thought patterns and unwanted thoughts. It is an account by the author of his life with OCD, and the development and impact of the condition from childhood to adult life. The book discusses coping strategies including techniques for reducing anxiety, exposure and de-sensitisation, diet, lifestyle and relaxation. It emphasises the importance of accepting yourself as an OCD sufferer before embarking on the journey towards recovery. 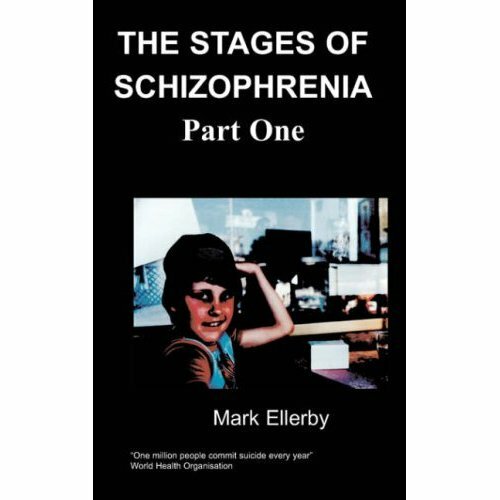 The author gives a vivid and at times raw account of severe episodes which have resulted in breakdown and hospitalisation. Silent Rituals of the Mind also takes a light hearted look at some of the ‘advantages’ of suffering from OCD and discusses portrayals of the condition in the media, drama and situation comedy. The book asks the difficult question: does the highly regulated culture in which we live contribute to incidences of OCD? Andrew Colley was born in 1958. His career has included being a professional actor, a teacher and a lecturer. He currently teaches at a special school in Essex where he has responsibility for a group of students with profound and multiple learning difficulties and autism. On a freelance basis Andrew has also worked for Creative Partnerships Thames Gateway, The International Schools’ Theatre Association, and the Education Department of the Royal Shakespeare Company. During the 1990’s Andrew had a number of books published for schools including plays and short stories. He also collaborated with the BBC and the Open University on audio and film material for students. This included writing a drama series in French and a radio drama in German. In 2004 his musical play Famous and Forgotten, about the early history of women’s football, won the Naked Talent playwriting competition and was staged professionally at The Mercury Theatre Colchester. He went on to write a second documentary drama Melted Soul, about round the world yachtsman Donald Crowhurst. Andrew has had a number of articles published in the Times Educational Supplement, and in August 2007 his piece My Best Friend Drowned … was published in The Guardian Newspaper Saturday Magazine. Andrew has also contributed a short story Spring Recovery to the BBC online ‘My Story’ project. He is a member of the charity OCD Action, and is a trustee of The Laughter Specialists – a charity which brings trained clown doctors into hospitals, hospices, special schools and respite centres. He has suffered from forms of Obsessive Compulsive Disorder since he was a very young child. He has been treated as both an in-patient and outpatient, and has received medical and therapeutic support. Andrew lives in Essex with his wife and son. 9 – 5 – 3 – 7. 9 times – 5 times – 3 times – 7 times. The same numbers. The same sequence. Every morning. Every day. We’re waiting for assembly to start. I’m sitting on the floor of the hall with the other children. Near the front, so I must be 5 years old. 6 maybe. It doesn’t matter. Always the same numbers. Always the same sequence. 9 – 5 – 3 – 7. I’m feeling a bit nervous, but I don’t really recognize it as such. I’m too young to give these feelings a name. Butterflies in the tummy perhaps. A vague feeling of being afraid. Perhaps it’s the first day of term. Or the last. Or a special day. That doesn’t really matter either. It happens every day. The numbers are always the same. I turn my head to the right and back to the front again. Not to look at anyone. Not to chat to the girl beside me. I just turn my head. A simple movement. Then I do it again. The same movement. And again. I do it nine times. Then I turn my head to the left and back to the front. The same movement. To the left. Except I do this 5 times. I touch my right thumb with my left forefinger. Tap them together. Three times. Gently. Quietly. I mustn’t hear it. Nobody sees this. I don’t think anyone sees this. And seven times the same thing with my left thumb and right forefinger. Seven times. But harder. Its important that I can hear the noise this time. If I can’t, it doesn’t count. If I can’t hear it I’ll have to start all over again. 9 – 5 – 3 – 7. The same numbers. The same sequence. Every morning. Every day. The teachers come in. We stand. We sit when told to. We sing a hymn, say a prayer. The Head Teacher makes some announcements. I like assembly. I like knowing what will happen. I like saying the same prayers every day in the same order. I like the fact that the Head Teacher always stands in the same place. His head is just below the big clock on the wall behind him. Just below. So that if I bend my knees very slightly I can make the black frame at the bottom of the clock appear to touch the top of his head. I do that once in every assembly. And then we file out and make our way to our classrooms. As we walk along the corridor, I touch the wall on my left 9 times quickly. I have to do it before its texture changes from the cold blue painted concrete to the slightly warmer feel of the wooden door frame. I touch the door frame with my right hand quickly in 5 different places as I pass through it, then the edge of my shorts 3 times in a certain way just before I sit at my desk. Just squeezing the material between my thumb and middle finger. And finally as I sit down I lift and lower the lid of my desk 7 times very slightly. So nobody notices. - 40 years later. The car is in the queue at the lights. It's raining. The windscreen wipers move from side to side. I’m holding the steering wheel. Waiting. Waiting for the lights to change. I am acutely aware of the windscreen wiper on the driver’s side of the car. Painfully aware. As it nears its furthest movement to the right, and just before it heads off in the other direction, I must twitch my toes. A tiny clasping movement. Not noticeable inside my shoe. Just a little twitch of the foot before the wiper makes its fraction of a second stop at the edge of the windscreen. I have to do it. And if I don’t manage it, if I am too slow, or too fast, I’ll have to do it again at the next opportunity. I will have to do it before the lights change. A green light, and I pull slowly away. Before the line of the bonnet reaches the white stop line in my field of vision, I am compelled to make a tiny, imperceptible movement. With the head perhaps. Sometimes not even a movement. An awareness. A feeling that everything is in line. A thought. So that everything feels just right. The bonnet. The white line. My line of vision. Just right. Just in the right position. Just in the right alignment. Just at the right time.